The 30 inch mast sit on a 36 by 36 inch base. The 2 inch diameter is used for holding the mounting pole for your satellite dish. This solid steel frame can be anchored with standard size cinderblocks (8x8x16 inches). 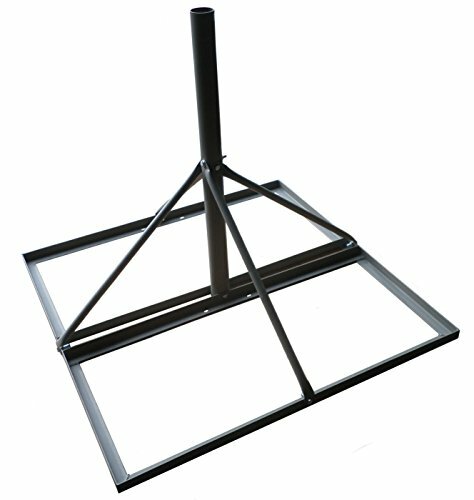 The lip on the base frame easily holds the weights in place to provide excellent satellite reception on a flat roof surface. Solid steel frame sealed to prevent rusting Inside diameter 1 3/4"
If you have any questions about this product by ABP Digital, contact us by completing and submitting the form below. If you are looking for a specif part number, please include it with your message.